Every movie has its share of Trivia, some less interesting, some fascinating ones. Collectively they are pages of an unedited book, which will later be taken off from the final product. Here are 5 such trivia which holds no relevance to the final product but let’s just think what would have happened if these people did stick to these great films which we cannot imagine without the people associated with it. “The entire list is approved … except for John Travolta.’ So QT got together with Harvey, and he’s like, ‘I can get Daniel Day-Lewis, Sean Penn, William Hurt.” Day-Lewis had apparently read the script and wanted the part. In the end, however, Tarantino won out. “Pulp Fiction” re-launched Travolta’s career, earning him an Oscar nomination for Best Actor as well as countless big-budget features. Three directors were offered the film prior to David Fincher. Peter Jackson was the initial choice of producers Joshua Donen and Ross Grayson Bell, who had been impressed with Jackson’s work on Heavenly Creatures (1994) and The Frighteners (1996). Jackson however, although he loved the Chuck Palahniuk novel, was too busy prepping The Lord of the Rings: The Fellowship of the Ring (2001) in New Zealand. The second choice for director was Bryan Singer, who was sent the book, but who never got back to the producers (he later admitted he didn’t read the novel when he received it). Next to be offered the job was British director Danny Boyle, who met with Donen and Bell, read the book, and loved the material, but who ultimately decided to concentrate on The Beach (2000) instead. The producers then turned to David Fincher, who was in post-production on The Game (1997). 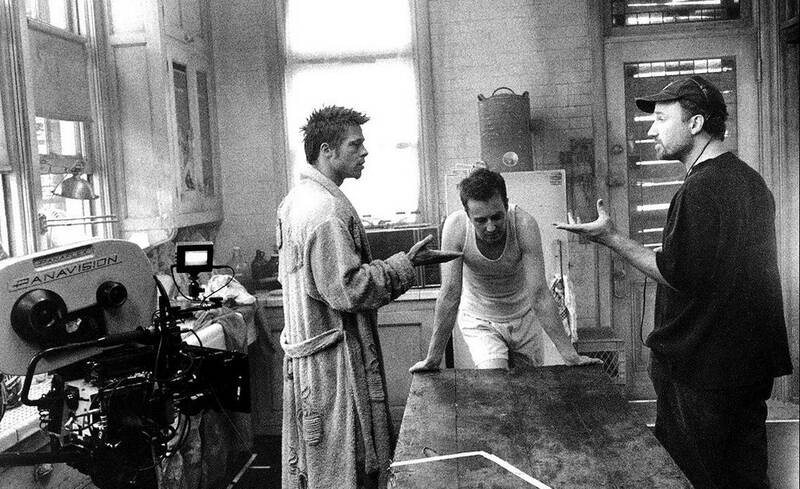 Donen and Bell had been impressed with Fincher’s work on Se7en (1995), and thought he could bring something unique to the project. However, Fincher was reluctant to work with 20th Century Fox again after his negative experiences making Alien³ (1992), so a meeting was set up between Donen, Bell, Fincher, President of Production at Fox 2000 Pictures Laura Ziskin and 20th Century Fox studio head Bill Mechanic, where Fincher’s relationship with the studio was restored, and he was hired to direct the film. Orson Welles lobbied to get the part of Don Vito Corleone in The Godfather (1972), even offering to lose a good deal of weight in order to get the role. Francis Ford Coppola, a Welles fan, had to turn him down because he already had Marlon Brando in mind for the role and felt Welles wouldn’t be right for it. Martin Scorsese has said he offered the role of Travis Bickle to Dustin Hoffman. According to Hoffman, he turned the role down because he “thought [Scorsese] was crazy!” He has since regretted his decision. Paul Schrader wrote the part of Travis with Jeff Bridges in mind. Scorsese wanted Hoffman to do the role of Travis Bickle, while Paul Schrader wrote it for Jeff Bridges, eventually the part went to De Niro and the rest is history ! Stanley Kubrick considered both Robert De Niro and Robin Williams for the role of Jack Torrance but decided against both of them. Kubrick did not think De Niro would suit the role after watching his performance in Taxi Driver (1976), as he deemed De Niro not psychotic enough for the role. He did not think Williams would suit the role after watching his performance on Mork & Mindy (1978), as he deemed him too psychotic for the role. According to Stephen King, Kubrick also briefly considered Harrison Ford. The Love Witch  : An Enchanting Feminist Bomb!